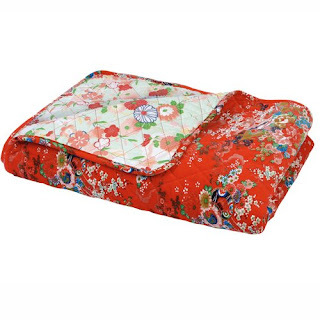 This beautiful Kimono quilt from Berry Red brings all kinds of gorgeousness to decadent lounging! I can quite see myself snuggling under it wearing some equally decadent silk pyjamas! Made from velvet and cotton, it's a bit of an investment at £125 but should last for years if loved properly and as it's reversible, it can adapt to different colour schemes quite nicely. Ooooooooooh!!! That is seriously all kinds of gorgeous.